​Not only is this new “Jack Rabbit” headphone splitter absolutely adorable, it’s practical and convenient too! Have you ever been listening to a really great song on your iPod or Smartphone and wanted the person next to you to have a listen, but that would mean giving them only one earbud to listen to? No need to worry. 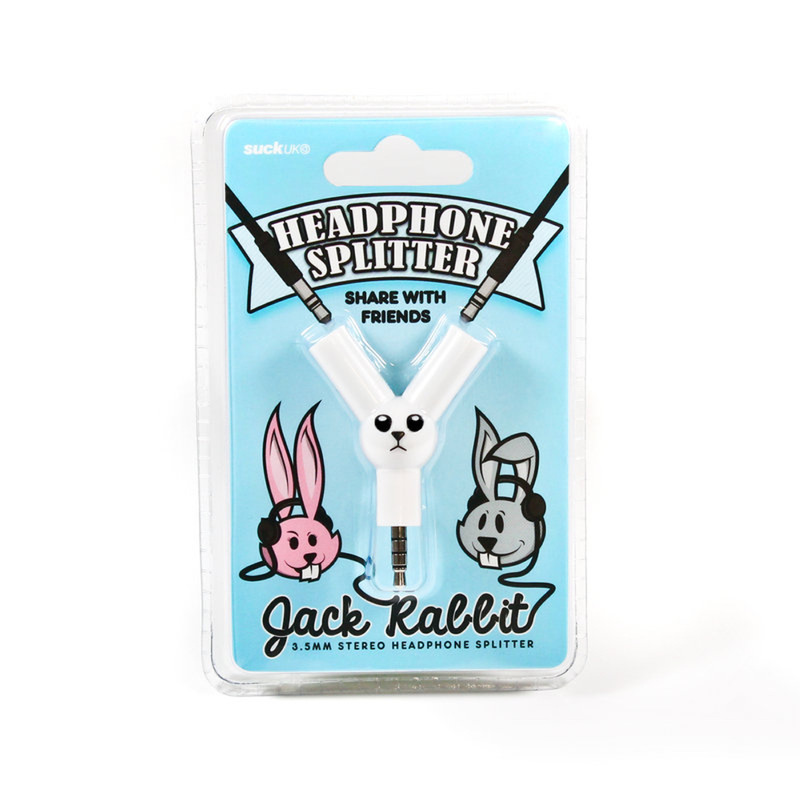 You both can enjoy full, stereo sound with the Jack Rabbit headphone splitter! Just plug both of your headphones into the rabbit’s “ears”, and enjoy a surround-sound experience. Now you can both enjoy the same song from the same device- at the exact same time.